Stern College and the independent team meet at the middle of the court for the game’s tip-off. Jenna Pierson/Mitzpeh. 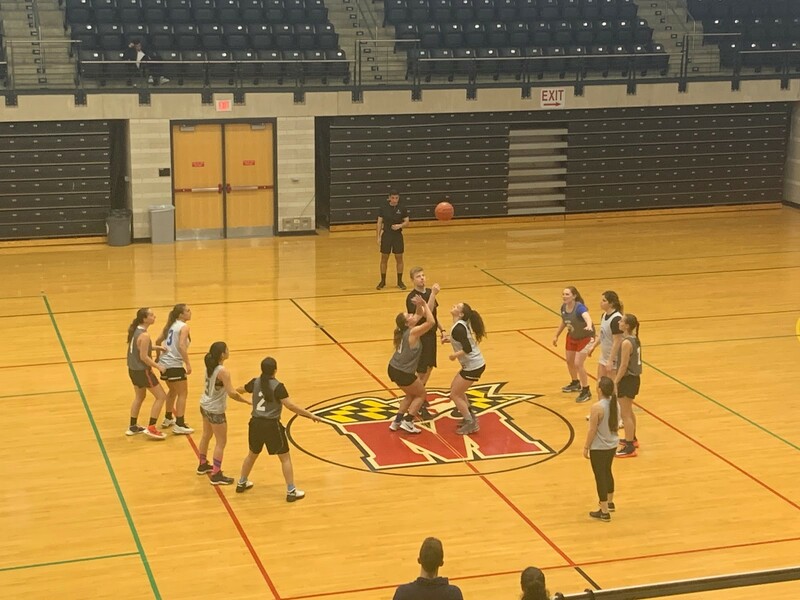 The women’s championship game for the National Hillel Basketball Tournament was held at Ritchie Coliseum Sunday afternoon. Stern College of Yeshiva University in New York faced off against an independent team of free agents in the championship round for the coveted Kiddush Cup, with the game tipping-off at 1:15 p.m. Dozens of students and family members gathered in the stands at Ritchie Coliseum to watch the final round and enjoy a barbecue lunch that was provided. Players stand by as a player for Stern College shoots a free throw. Jenna Pierson/Mitzpeh. 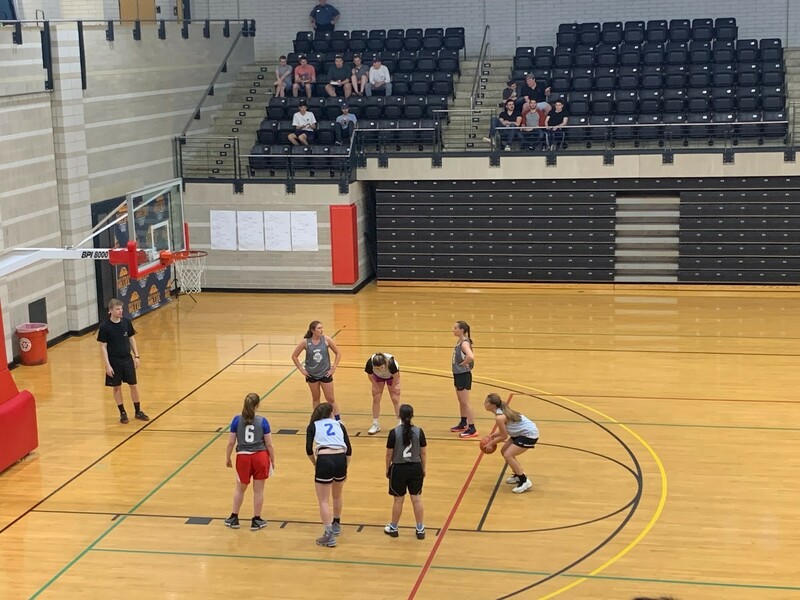 The final score was 38-23, with Stern College ultimately emerging victorious and claiming the 2019 women’s championship title. While both teams were neck-and-neck for the first few minutes of action, Stern College quickly began to maintain a major lead for most of the game. NHBT took place from April 11 through April 14. The tournament was originally founded in 2010 at this university with the goal of bringing hundreds of Jewish students from schools across the country together for community and friendly competition. NHBT is the largest Jewish basketball tournament in America and a weekend of events that many anticipate. Players showed off their sportsmanship at the end of the game, with members of the opposing teams embracing each other in joy and celebration for the efforts they had all made and the friendships they had cultivated. No Replies to "Stern College at Yeshiva University victorious in NHBT women’s championship game"